In my never-ending quest to eat all the vegan things, I was thrilled to be approached by My Cottage Foods to try Sweet Magic Bakery's gluten-free and vegan cookies. My Cottage Foods delivers local craft food straight to your door and helps smaller companies gain exposure by offering up their organic and allergen-friendly products through their online store. My Cottage Foods is like having your own local farmer's market online, and it's so cool! Not everything on their site is vegan, but many products are, including a few varieties of Sweet Magic Bakery's cookies. 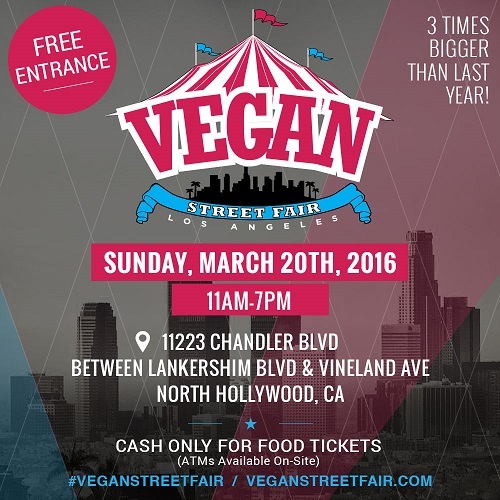 The second Vegan Street Fair was held this past Sunday in North Hollywood, California! This year promised to be bigger than last year (read about last year's event HERE! ), with more space, more ticket options, and (most importantly) MORE FOOD! It was held just a few streets over from last year's event, but on a wider street with much more space, and it grew from about 40 vendors to over 90! The vendors were mostly restaurants and food vendors, but there were also clothing companies, vegan lifestyle magazines, animal rescue and sanctuary booths, and many more! Some of the food vendors this year included Blue Window, SunCafe, Casa Coqui, Vegan Pizza, The Ridiculous Baking Co., and soooooo many more! I'm a little late to the party on this, but I FINALLY found the exciting new non-dairy and vegan ice cream flavors that Ben and Jerry's recently released! I wasn't really searching for them in earnest before, because, let's be honest, my freezer was already full of vegan frozen desserts! When I finally spotted them at Target (two of my local Targets didn't have them, but I found them by chance at the Target at the Irvine Spectrum if you're local), I HAD to buy all four flavors...for science, right? triple the space for their annual bite-sized vegan eats celebration! Who is excited for Vegan Street Fair this weekend?! I know I am!! Last year was a total blast (see pics from the event HERE! 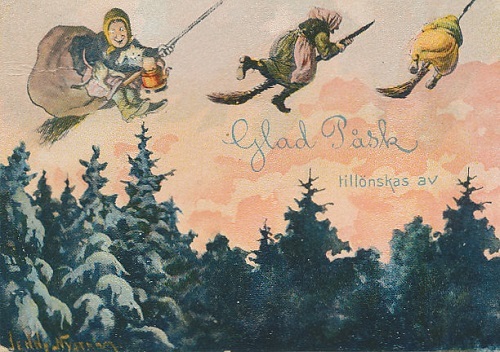 ), and this year will be even BIGGER! 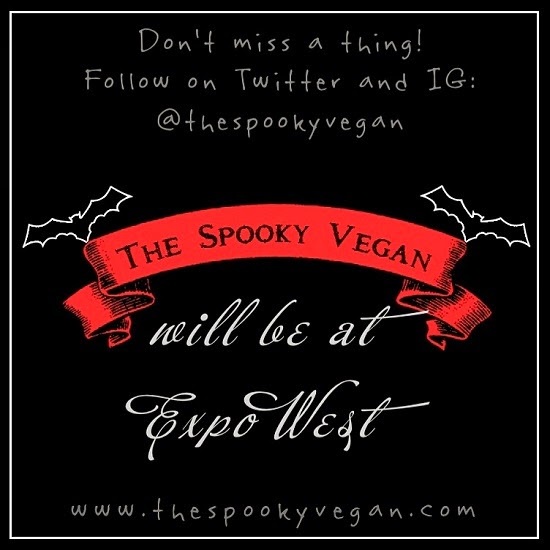 More space, more vendors, and more fabulous people excited to EAT ALL THE VEGAN THINGS! Are you sick of watching the same horror movie every St. Patrick's Day? I mean, Leprechaun and its spawn are all good and fun to watch while drinking some green beer and munching on vegan colcannon, but why not celebrate this St. Patrick's Day with other Irish horror films? Ireland is filled with so many spooky stories and legends that it is mind-boggling that there aren't more horror films set there that feature its lore. 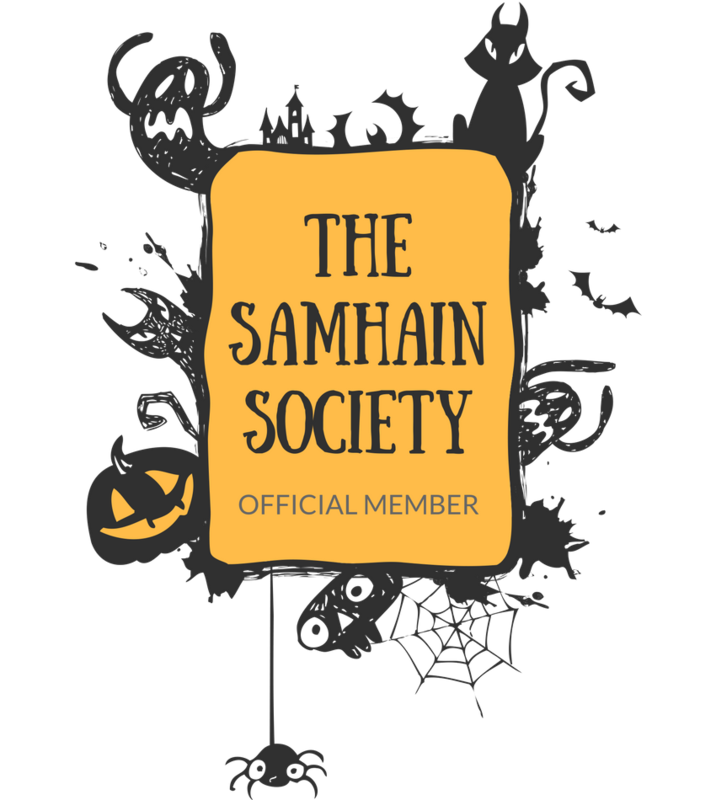 Also, we can't forget that Halloween has its roots in Samhain, which started in Ireland (can someone make a historical horror film based on Samhain, pretty please??). This past weekend I attended the Natural Products Expo West at the Anaheim Convention Center to scope out all the new vegan goodies coming out this year! 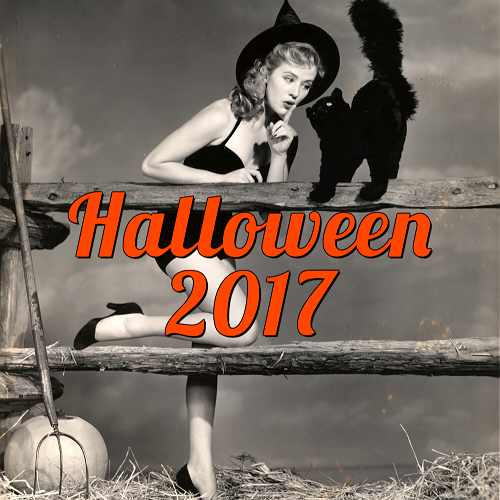 I attended last year (check out my report!) 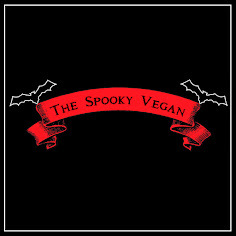 and the year before (read all about it here), and every year has gotten bigger and bigger, with each show having more and more vegan options! This year I was only able to attend for one day, but I tried to visit as many vegan and vegan-friendly booths as possible. It was fun seeing so many old favorites, seeing new vegan food items, and visiting with many of my favorite vegan people and companies! Though I had a whirlwind day, I feel like I covered a lot of ground in eight hours on the show floors and can bring you my top 10 favorite vegan food products from the Expo, plus some honorable mentions. I have used Pacifica Sea Foam Complete Face Wash religiously for about two years now, and I still highly recommend that cleanser (read my full review). 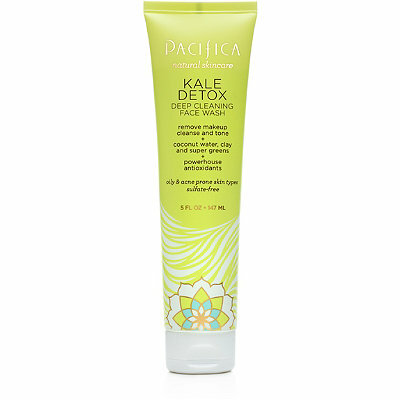 However, when Pacifica released their Kale Detox Deep Cleaning Face Wash specifically formulated for oily and/or acne-prone skin, I knew I had to try it! Pacifica is a 100% vegan and cruelty-free line, and all of their products I've tried have been of the utmost quality. It is a brand I trust, and a brand I return to time and time again. Not only do they have face cleansers and other skin care products like moisturizers and makeup remover wipes, but they also have a full makeup line, perfumes (they make some of my favorites! ), and they have also recently announced they are releasing more skin care products as well as hair products! The Kale Detox Deep Cleaning Face Wash is one of their newer products in their expanded skin care line. 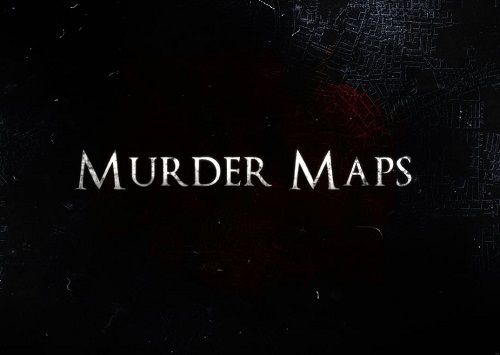 Murder Maps is a docu-drama television series that takes us back to the Victorian era and beyond to the most shocking and surprising murder cases in history you might not have heard about. Host Nicholas Day guides us through historical crimes, their perpetrators and victims, as well as the then burgeoning field of forensics and how new techniques helped police solve these often gruesome crimes. I was intrigued by the premise of this show, and it didn't disappoint! It mixes historical reenactments of the crimes with discussions from historians, criminologists, and scientists. Plus, many of the crimes they covered were news to me, and I am a junkie for historical murderers, so woo hoo! Cafe Gratitude recently expanded into Orange County with the opening of its newest restaurant in Newport Beach, California. Though there are several Cafe Gratitude locations up in Los Angeles, I had never been to one, so I was excited that one was opening so close to home! 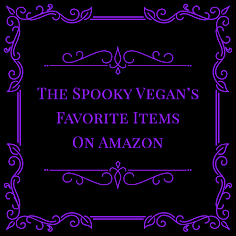 Gratitude is 100% plant-based, with 99% of their items being vegan - the only items that you need to watch out for are honey and bee pollen in some of their drinks and/or dishes. These are usually noted on the menu descriptions, but you can also ask your server to be sure. They also have many gluten free options and they use organic ingredients whenever possible. tomato sauce, vegan mozzarella, onions, vegan sausage, and kale. Well, February appeared to be a pretty decadent month for me, at least based on what I ate. Looking at the photographic evidence, my diet seemed to consist of a lot of pizza and donuts. Oops or success, depending on how you look at it! Though I wish I could subsist on pizza and donuts alone, I cannot, while I do looooove both! I promise I eat healthy on occasion, though I don't usually take pictures of my healthier meals. I'll make a better effort to document my healthier meals in the future! In the meantime, though, you can join me in drooling over the many pizzas and donuts I enjoyed in the last month, as well as a few other decadent meals and a few healthy ones as well!